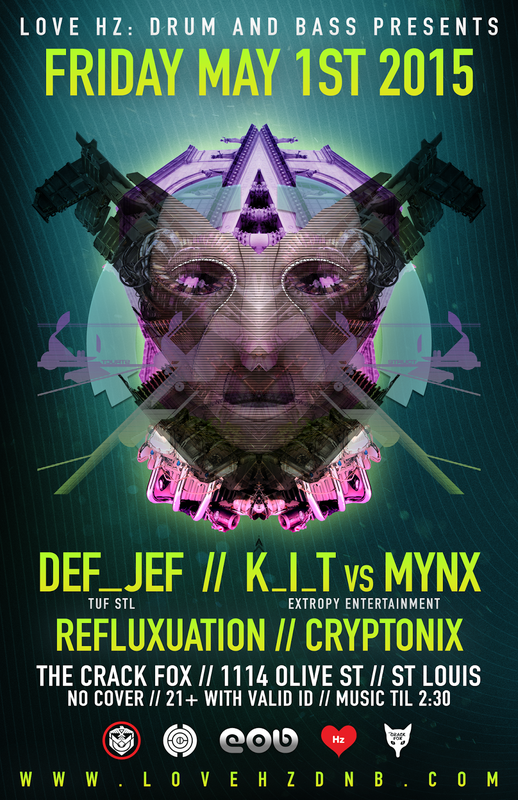 Straight out of the TuF StL crew, which was responsible for some the greatest parties thrown this side of the millennium from 42 cent Djs and Chop Suey to Soulstice, Def_Jef is back on the scene and killing it. Def_Jef absolutely smashed the place last August alongside Carnal Motive, busting out the tearout destroyers for the early crowd. 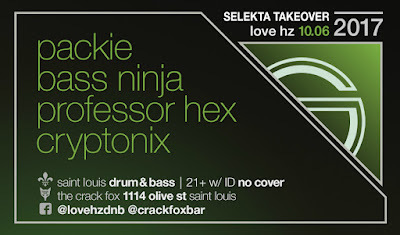 With chops that will impress everyone from the casual drum & bass listener to the seasoned junglist, Def_Jef has proven to be one of the most versatile selectors in St. Louis. Get ready for sick tunes and a few surprises from this TuF StL veteran. K_I_T has been rocking drum & bass parties in and around the Saint Louis area for years with residencies at Bass & Bliss and GAME. He has also recently started a new Elements of Bass monthly at The Cherry Lounge. K_I_T's signature Jungle-tinged sets are always sure to get the crowd moving. Turkish Sicilian club DJ - graphic designer - and occasional producer, Mynx has played in Saint Louis, Philadelphia, Cedar Rapids, and Fort Lauderdale. After a break from mixing in 2012 she returned with full force by fall of 2014. Get ready for a range of styles from Mynx, dropping breakbeat - breakcore - bhangra - progressive house - trance - electro - trap - dub - and underground hip hop. Refluxuation's attention to details in sound began in the industrial music push of the early nineties. The first polyphonic synth obsessions came with exposure to "NIN Broken". This work gave way to an addiction for multitrack, multi-filter works by artists such as Ministry, KMFDM, Machines of Loving Grace, Skinny Puppy and the likes. Digging for roots found joy in groups like Depeche Mode, INXS, The Cure, and New Order. A couple of years and a few too many industrial metal and melancholy shows later, Trance and House music found their way to the audio palate via the search for new digital sound and the allure of warehouse parties. The mixture of complex sound with a constant backbone compatible for dancing became the next step in the evolutionary process of Refluxuation's proverbial birth. 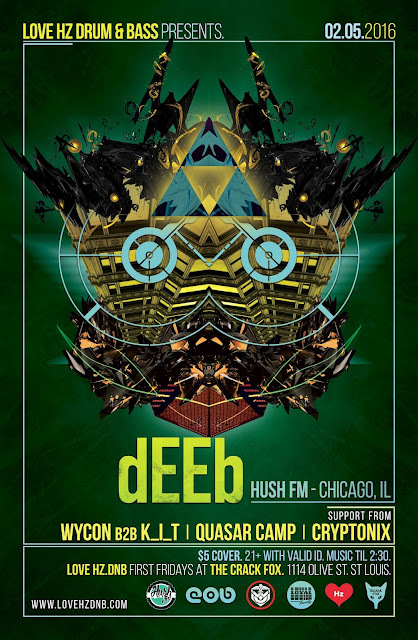 Drum & Bass, Jungle and Beakbeats have become the vortex of Refluxuation's need for audio stimulation by providing the essential elements of previous obssesions and the simple pleasures of low frequency. The result is an entity that is in need of constant mix and is desperate to shake walls at appropriate venues.